Happy New Year! We are six days into the new year and life is still crazy. I love the holidays and everything that goes along with it, but I also love January. I like the feeling of new that comes with the fresh start of the year. 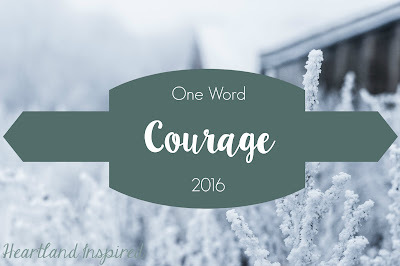 With the new year comes a new focus and this year it is COURAGE. 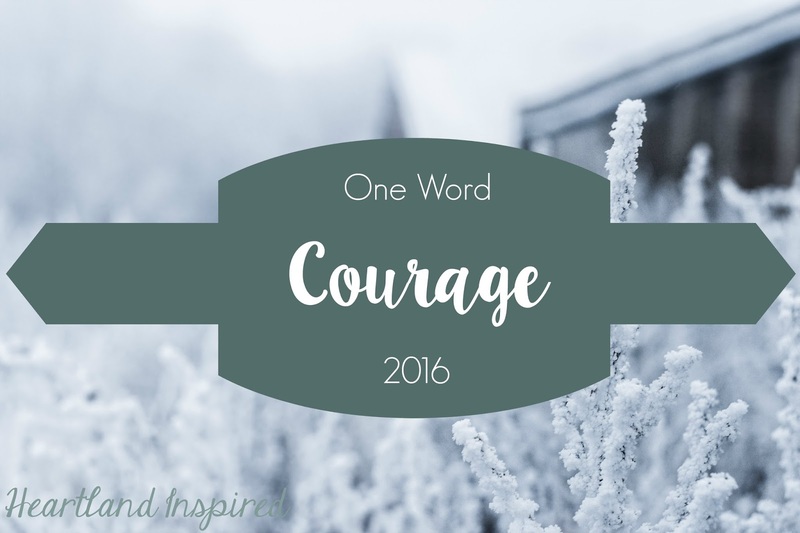 I have been thinking about this word for a few months and it is settled into my heart and soul. I have a tendency to sit on the sidelines of my life and let things pass me by. Year after year, I desire the same things and nothing changes. Part of that is laziness, but the other part is thinking that I just can't do it. I don't want can't to live in my world. I want to be a woman who can and does. I want to take control of my physical health and my financial health. I want to try new things. I want my house to continue evolving into a home. I want 2016 to be my year! That is a lot of expectation! But I am excited to see where this year leads me.